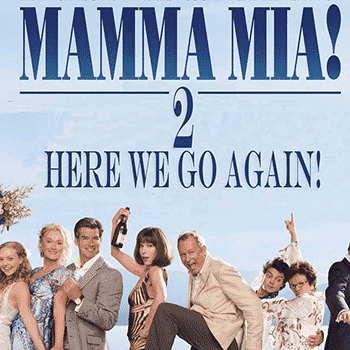 August 10-12: It’s a musical prequel and a sequel to the hit from a decade ago — “Mamma Mia!” Now on the Greek island of Kalokairi, Sophie (Amanda Seyfried) is pregnant with Sky’s child while running her mother’s (Meryl Streep) villa. She’s worried about her relationship with Sky, and fearful she can’t do it by herself without her mother around, but with Tanya and Rosie’s guidance, Sophie will find out more of Donna’s past. In finding out about Donna, Sophie will be discovering how she fronted The Dynamos, came to start up her villa on the island from nothing, met each one of Sophie’s dads (Pierce Brosnan, Steellan Skarsgard and Colin Firth, and raised a daughter, bravely on her own, without a mother to guide her – with an unexpected visit from someone she had not invited or never even met: her grandmother, Ruby Sheridan (Cher). PG-13. Fri.-Sat., Aug. 10-11, 7 p.m. Sun. Aug. 12, 3&7 p.m. Tickets $8 adults, $5 children. CLICK FOR TICKETS or TybeePostTheater.org.